When splitting a large sample amount into smaller portions in order to analyze powders, the resulting sub-samples need to be representative of the initial batch to receive reproducible and valid analysis data. 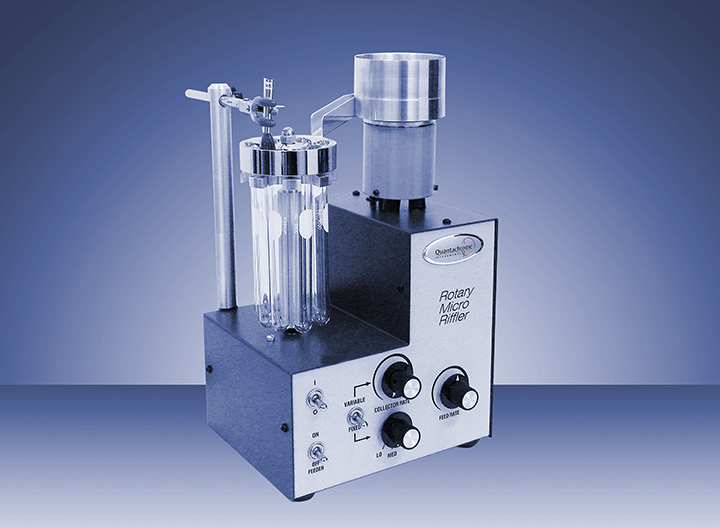 The Micro Rotary Riffler splits samples as large as 120 cm³ into eight representative portions appropriately sized for measurements in your particle size, gas sorption, or mercury intrusion analyzer. Thanks to its two separate control sets for delivery and rotation rate, accurate divisions of any powder may be achieved, regardless of particle size or density.